Please help us continue to work with these wonderful dogs. Please make all checks payable to the La Plata County Humane Society. Pit Bulls for People runs through the La Plata County Humane Society and is not its own non-profit. 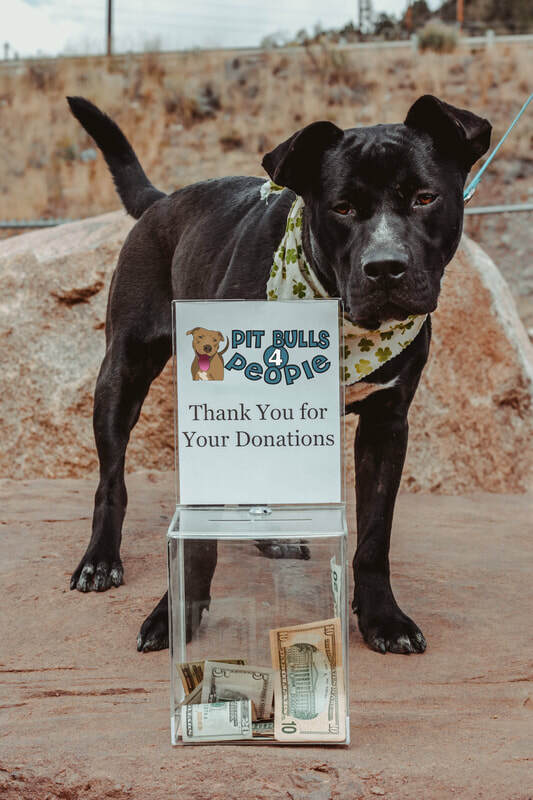 We guarantee that all donations will go directly to improving the lives of the "Pit Bulls" in our care. If you would like to know more, we encourage you to contact us.